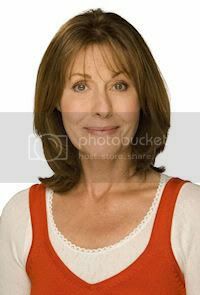 Greatest Doctor Who girl ever, is how the British tabloid The Sun reports the sad death of Elisabeth Sladen yesterday, at the age of 65. The paper reports how Doctor Who fans are in mourning over the loss of one of the most popular actors to have worked on the series. The Guardian confirms the tribute stating Sladen is widely regarded as the most beloved companion in the show's 48-year-history. BBC News interviewed former Doctor Who showrunner, Russell T Davies, who spoke of her love for the character of Sarah Jane and how devastated the Doctor Who family are at the loss. "It was a joy to know the woman", he said "and an honour to work with her". Sladen had been suffering with Cancer, something known only to her close family and friends. Davies spoke of her privacy and how she hated any fuss. "She would give me a good nudge in the ribs for talking about her on the Radio" he said. "She was a great great woman and a great actor... If I'm glad about anything in my career I'm so glad we brought her back, so a whole new generation of children could fall in love with her"
The loss has made headlines around the world, reported in publications from the US to Australia and from Canada to New Zealand, with the news trending on Twitter for much of the evening - a number of media articles are listed below. The BBC's heavyweight news programme Newsnight closed its Tuesday edition with Jeremy Paxman reading a tribute to Sladen and a clip from The Sarah Jane Adventures. The following morning saw a tribute running on BBC Breakfast and the BBC News channel throughout the morning - this is available to watch via the BBC News website. The Classic Doctor Who channel on YouTube features a section highlighting her work on Doctor Who. Other broadcasters also covered the news, with items running on Sky News, ITV's Daybreak and Lorraine shows, and even on Channel 10's news in Australia. Many fans and colleagues have also posted tributes, which are reported in our earlier article.